In a striking light-filled 19th Century building in Mayfair, formerly used as a workshop for makers of leather breeches, is the The New Craftsmen, a luxury craft homewares and contemporary British artworks shop and company. The shop is infused with natural light thanks to the huge windows, a rare find in this part of town, and the natural feel continues with an indoor garden at the back of the space, under a ceiling of glass, curated by That Flower Shop. 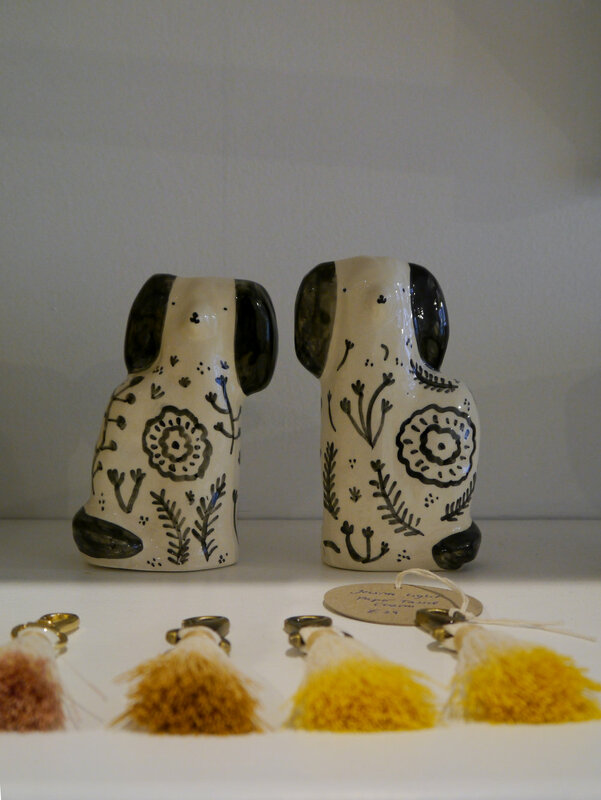 Founded by Mark Henderson (Chairman of Gieves & Hawkes), Natalie Melton (Crafted) and Catherine Lock (Habitat and John Lewis) they have created a space to act as a hub for buying, commissioning and learning about crafts in Britain. They sell and showcase unique contemporary objects that are deeply rooted in craftsmanship, spanning furniture, lighting, textiles, ceramics and decorative accessories. Partnering skilled craftsmen with leading luxury british brands, such as Burberry in their refit of Thomas's Cafe and Selfridges, where they have been holding a series of immersive instillations and workshops called 'A Home For All'. Creating a sensory environment in the basement ('ultra-lounge') of Selfridges on Oxford Street, encouraging you to stop and rest. Whether making sourdough bread around the table or slumbering in haystacks; craft, atmosphere and materiality combine with physical activity, encouraging a sense of community, discussion, play and imagination . 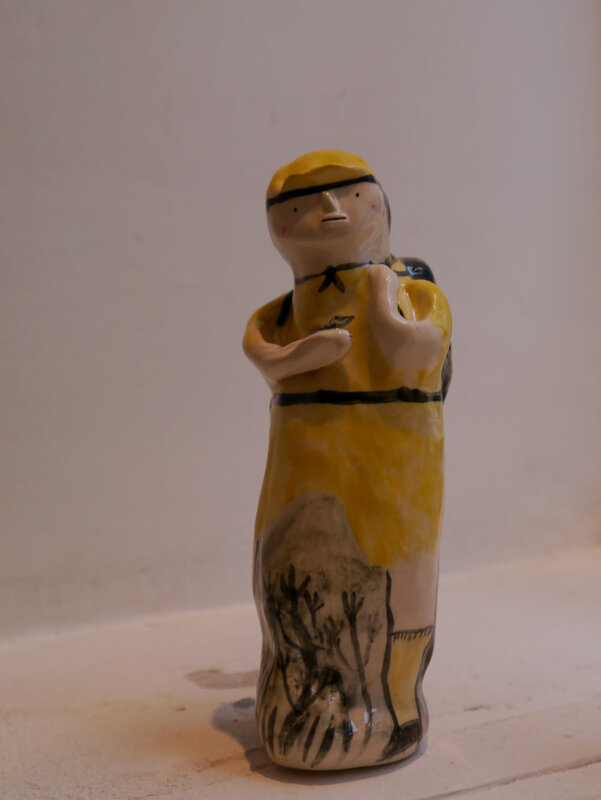 Encouraging people to loose themselves in the task, getting the hand and the mind to work together, alleviating all the stresses of central London through the ritual of craft and skill. 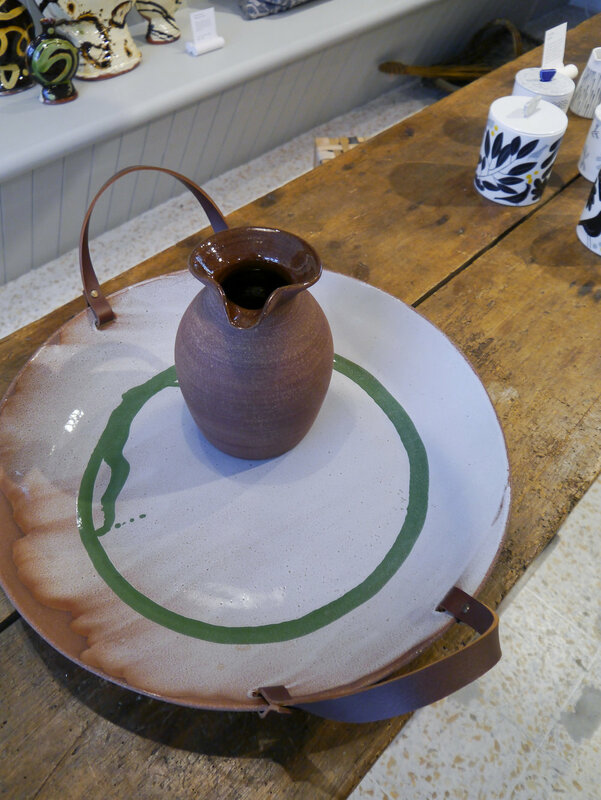 If your looking for something utterly genuine and unique, charged with positive stories and well made British design, then this may well be the place you have been looking for, its time to go to 34 North Row. 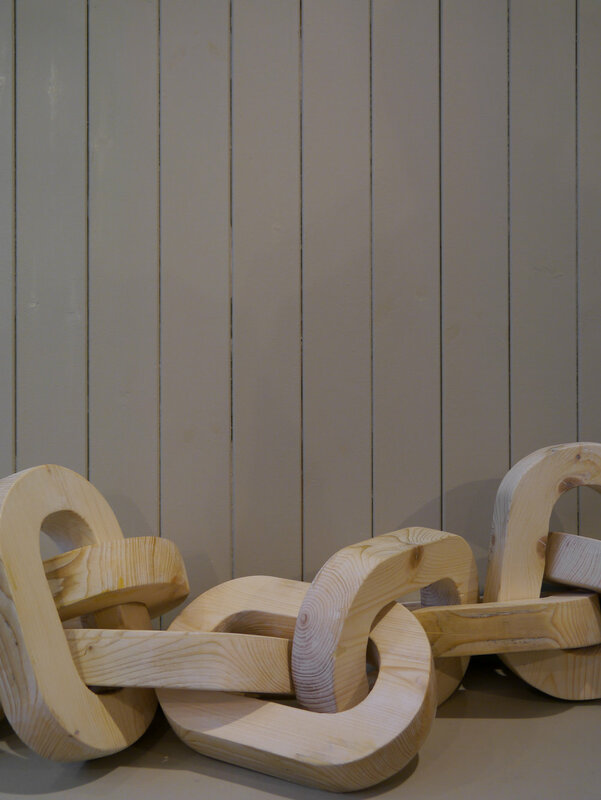 1.Annemarie O'Sulivan, Gareth Neal - Willow Chair. 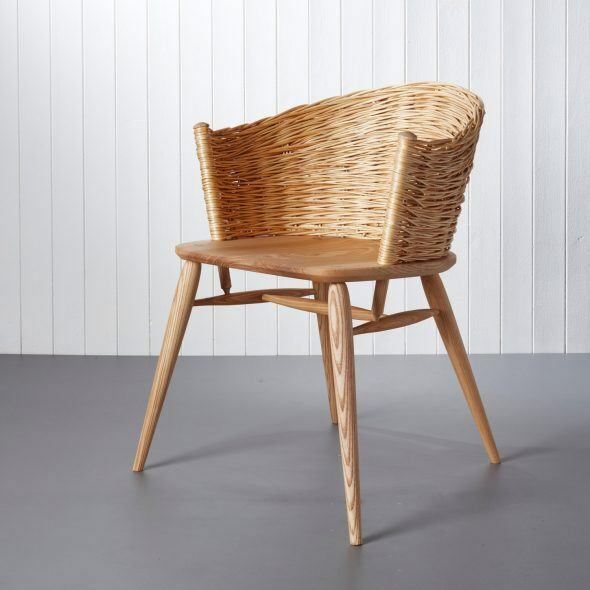 Made from Willow and Ash, combining traditional basket making techniques and contemporary design. £1,575. 2.Leah Jensen - Saints Jerome and John the Baptist. 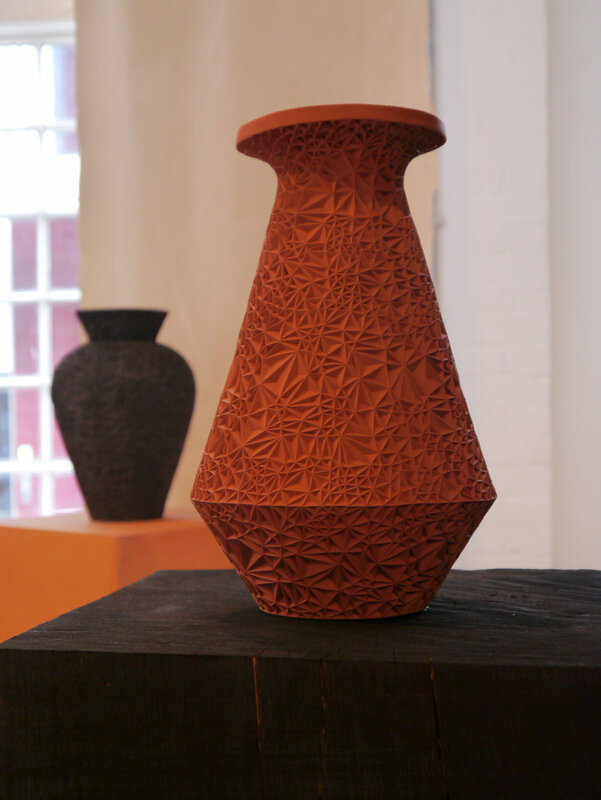 Intricate and distinctive ceramic vase based on 15th Century Renaissance paintings. Hand crafted. £3,900. 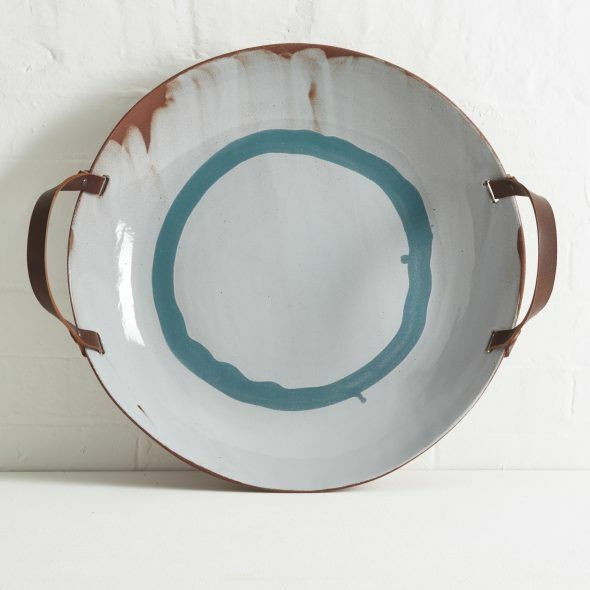 3.Silvia K Ceramics - Terracotta Large Shallow Bowl, with two leather handles, in tones of grey, green, navy, and teal. £350. 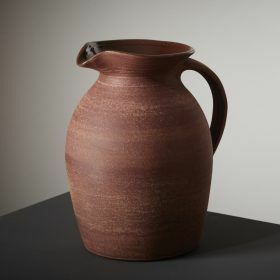 4.Nicola Tassie - Red Vermeer Jug, red stoneware referencing Vermeer's painting 'The Milk Maid'. £350. Images above via The New Craftsmen.